Below is a calendar of our Break Events. Please fill out the form at the bottom of the page to RSVP a spot for current members if you would like to enroll your child(ren) please contact the club at 310-390-4477 ext. 230. 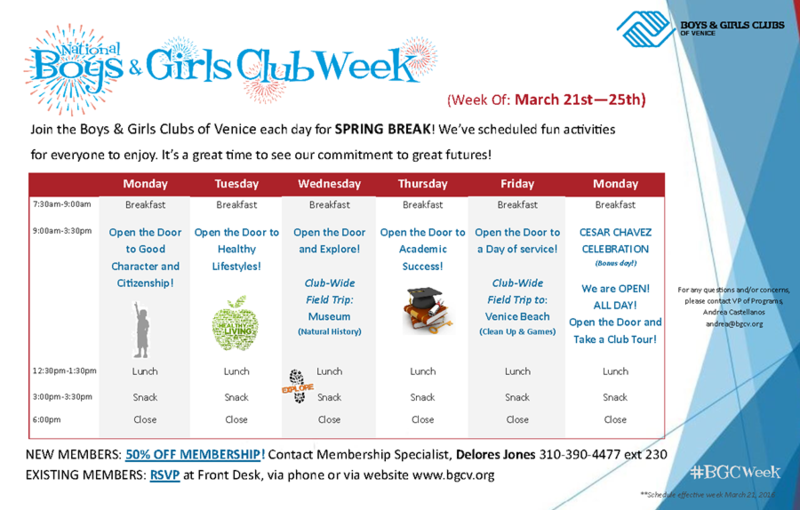 Use this form to sign up a current member of the Boys & Girls Clubs of Venice to our Winter Break Program.